Incredibly Detailed Renditions of Texas City Layouts & Landmarks. 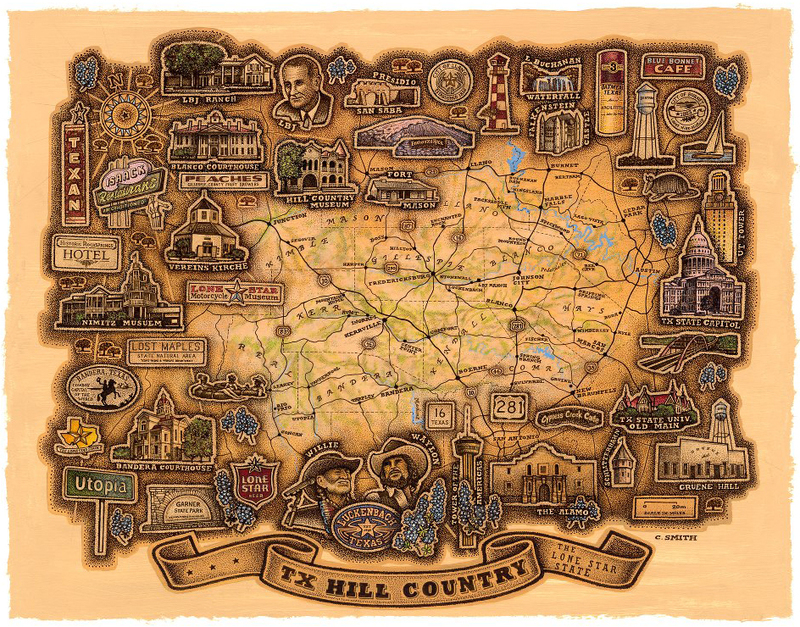 Artfully Inked Maps, Vintage in Look & Feel, Historically Inspired. 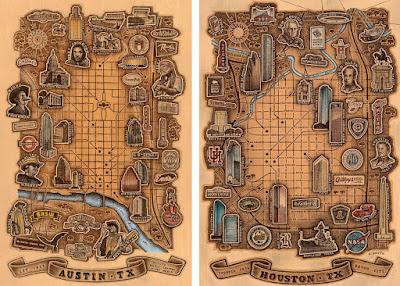 If you’ve never tried your hand at stippling, you may not fully appreciate the amount of work that goes into this technique, but you’ll undoubtedly appreciate the brilliance behind the art of Smith Map Studio with just one glance. 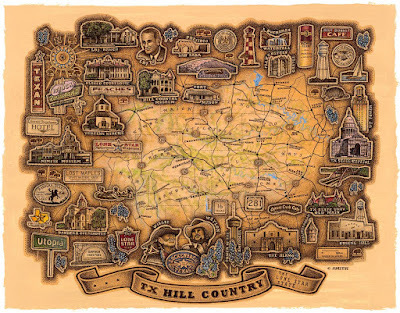 How fun that Christopher Smith was able to use his love of geography and history as inspiration for his very own line of artistic map based illustrations! His unique style is meant to have a vintage look and feel while depicting a wide range of landmarks, both retro and modern. He thoroughly researches what he wants to include in each topographic representation, but then transforms them from strictly informative to truly beautiful with his amazing process. Every aspect of these maps is “draw” in little dots, with depth and tone created through density. This technique is very time intensive, but it yields incredible results that are definitely worth the effort! For Christopher, it’s all about getting into a flow with layer upon layer for the desired effect. I would argue that this artist has as much patience as vision. 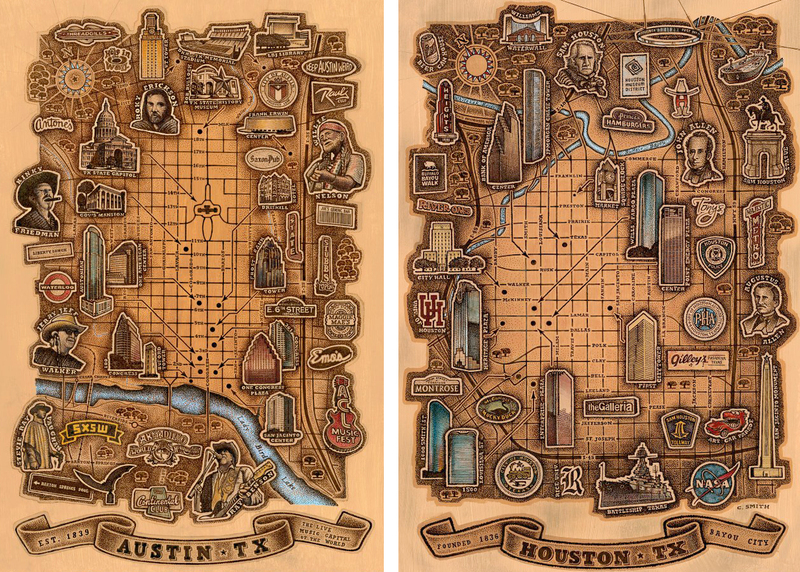 He is able to bring a striking layout of landmarks out of countless dots applied individually. I don’t recommend trying to tally up how many. You’d lose track even looking up close at the minute detail. 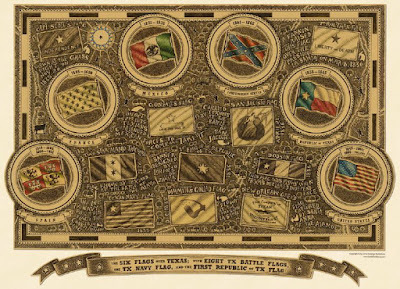 Christopher does a marvelous job paying homage to the great state of Texas with his one-of-a-kind, one-dot-at-a-time work! !